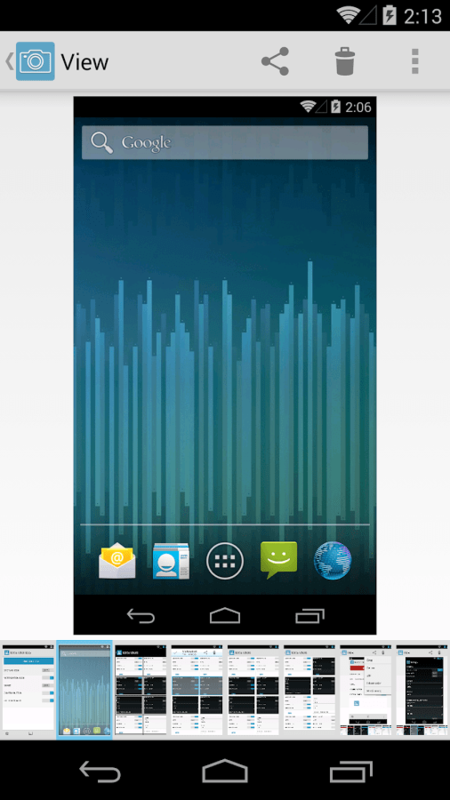 Screenshot apps are extremely useful for taking screenshots on Android devices. So, we picked some of the best screenshots apps for Android which allows capturing screenshots on any devices runs on the Android OS. These screenshot apps are coming with all the features needed for different purposes useful for any kind of users. Without explaining too much, let’s have a look at the top 13 best screenshot apps to take screenshot on Android. 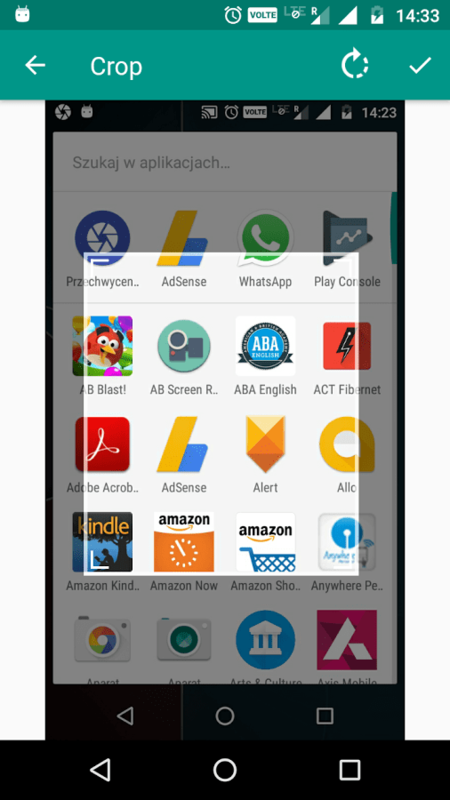 We listed these screenshot apps and sorted them after a series of testing procedure. So that you don’t have to Google them again for knowing which one is the best. Having a read throughout the features of each app will let you know which one fits your needs much better than the others. Check out the list of best screenshot apps below. 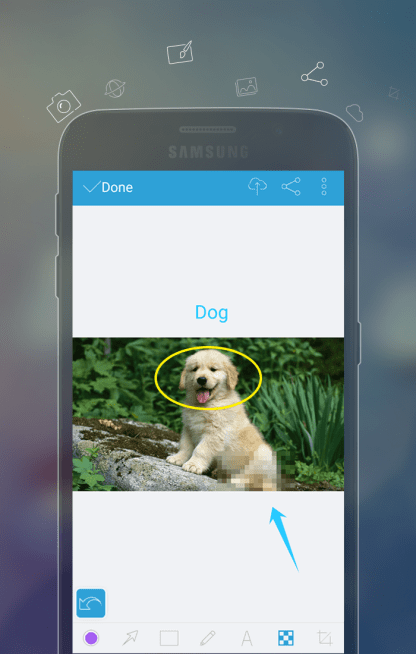 As the name itself implies, it is one of the easiest apps to use in this list. 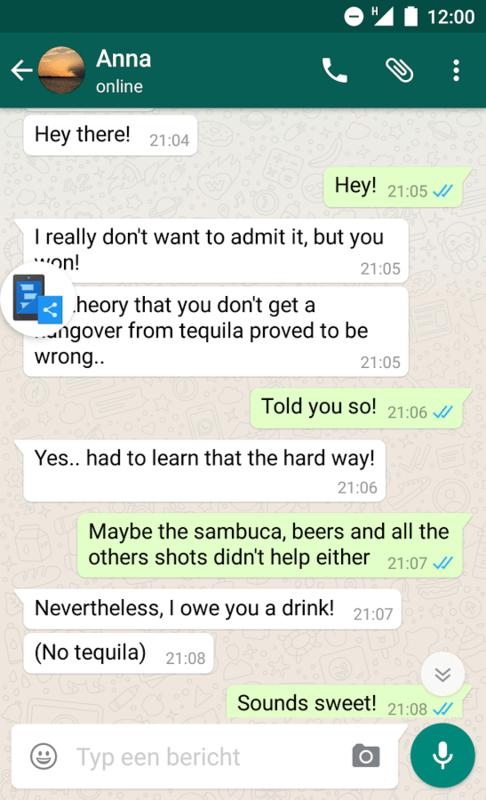 Developed and maintained by the Ice Cold Apps, the Screenshot Easy already got a lot of downloads on the play store. The rating also suggests that it is one of the best. It is extremely easy to use this app with the default Volume down+Power buttons. Just hold them for 2 seconds, and your screenshot will be successfully taken. 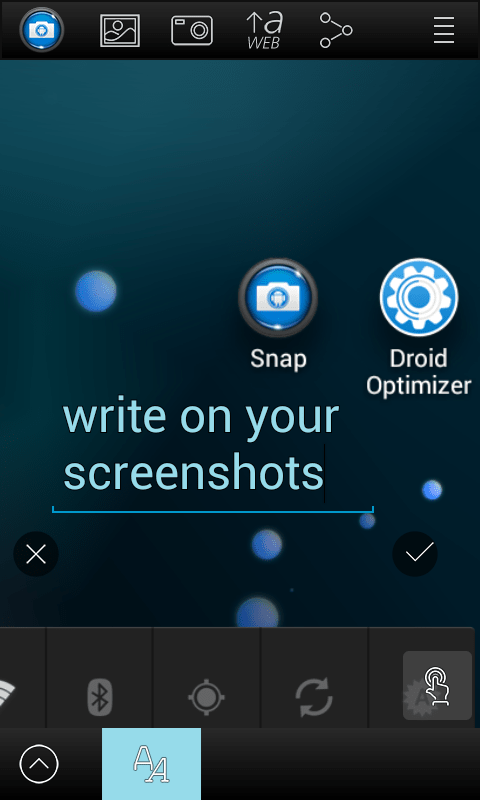 You can capture screenshots on your tablet, phone or any other Android devices using the Screenshot Easy. 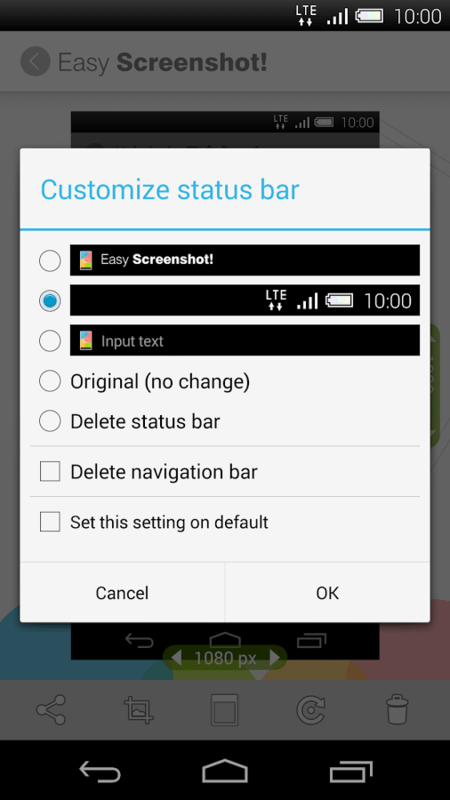 Right behind the Screenshot Easy, the Screenshot Ultimate is also a shining star for capturing android display. 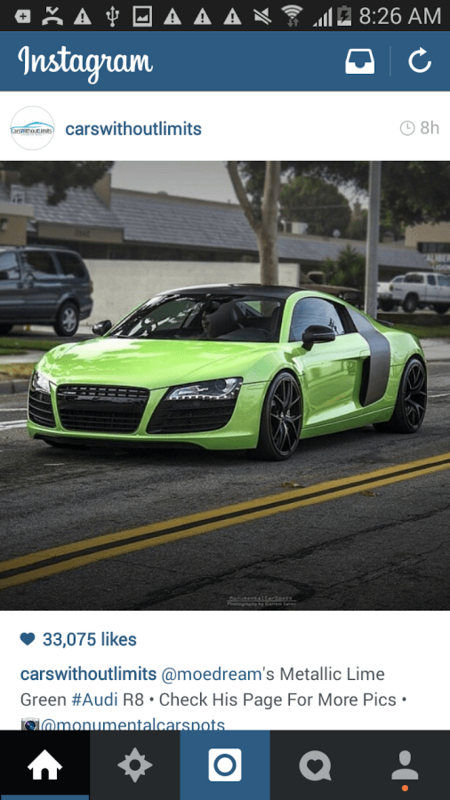 One of the most attractive features of this application is the numerous trigger methods. 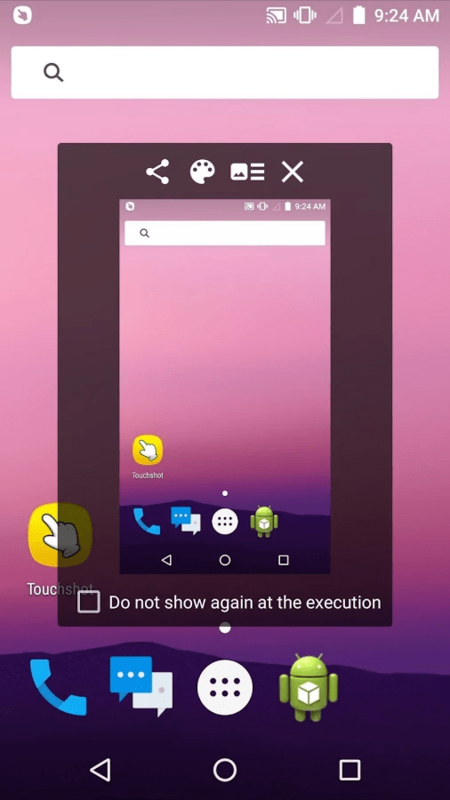 It includes the trigger methods such as Overlay icon which is visible on top of all screens, Shake, Service icon click, Audio, Power (dis)connect, Folder listener, etc. And moreover, the app is completely free to use. It also comes with multiple capture methods for making it usable for any kind of screenshot needs. This one from the Ashampoo is one of the best screenshot apps available for the Android smartphones. 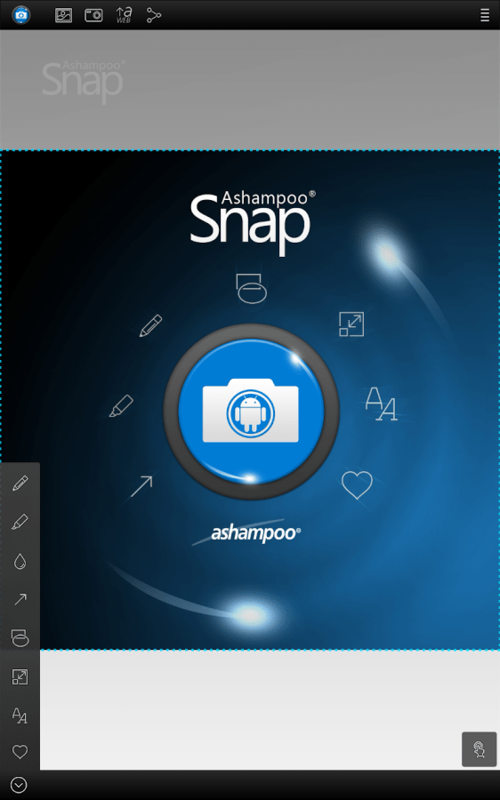 Screenshot snap free will not only let you take screenshots but also will let you edit and manage them as per your requirements. You could even share the edited screenshots directly to the social media accounts such as Facebook, Google+, Twitter, etc. 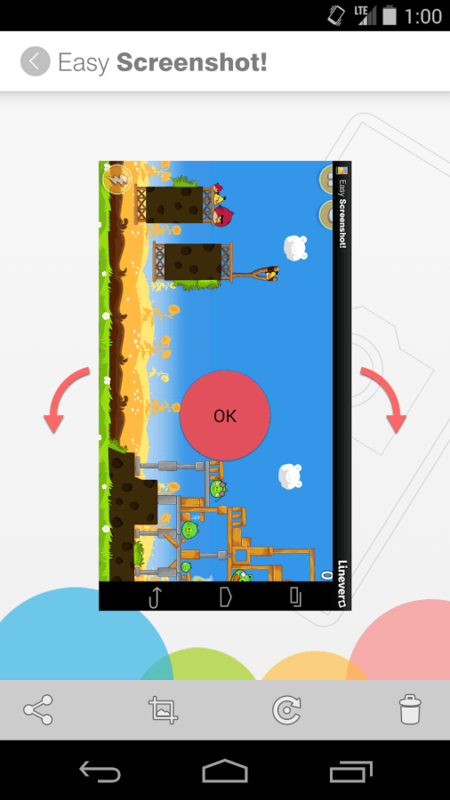 The functions such as smart trigger make it a unique application for taking screenshots on Android. There are no annoying ads on the Screenshot Snap Free which makes it completely user-friendly. 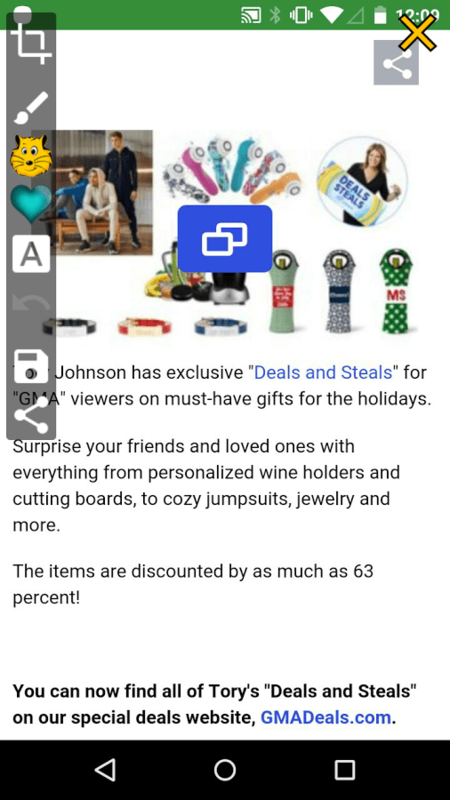 Share screenshots on platforms such as Facebook, Google+, Picasa, Twitter, etc. 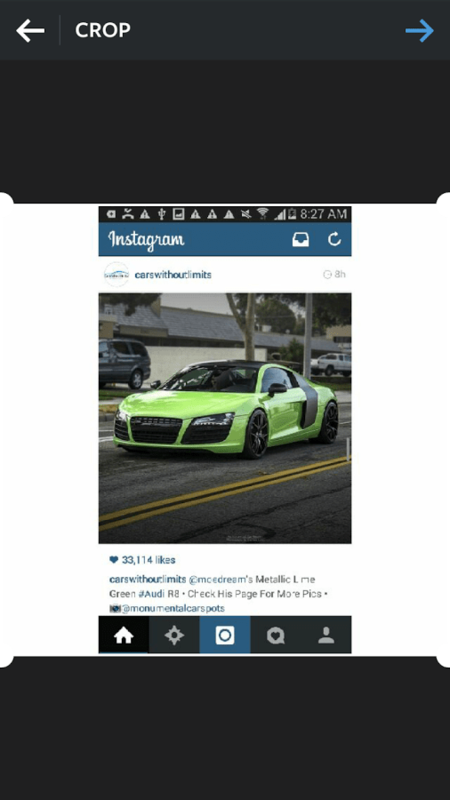 This screenshot application is developed by MeiHillMan team. If you are searching for a screenshot app without root, this might be one of the best choices you can make. 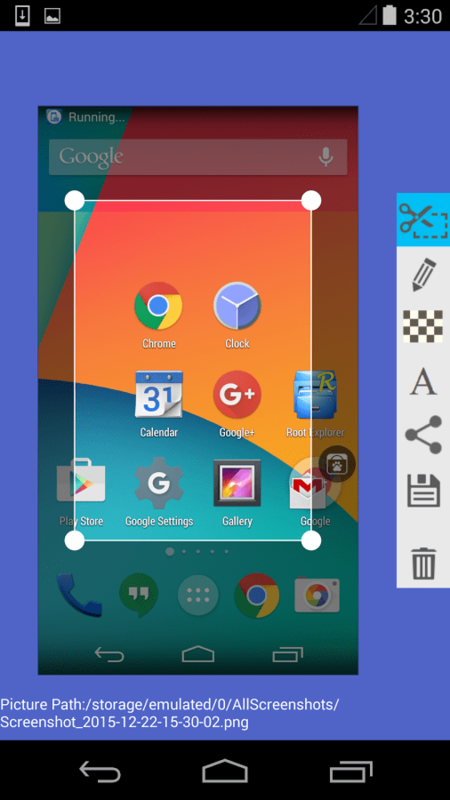 With the advanced capabilities resize, scribble, add text and add filters, the app provides a complete editing platform on any of your Android devices above 4.0. The instructions are clearly implemented in the app to help those who are beginners to the Android OS. Moreover, the app is very fast, and we never felt a lag while using. If you are searching for the perfect screen capture tool, the Perfect Screen Shot might be the destination. 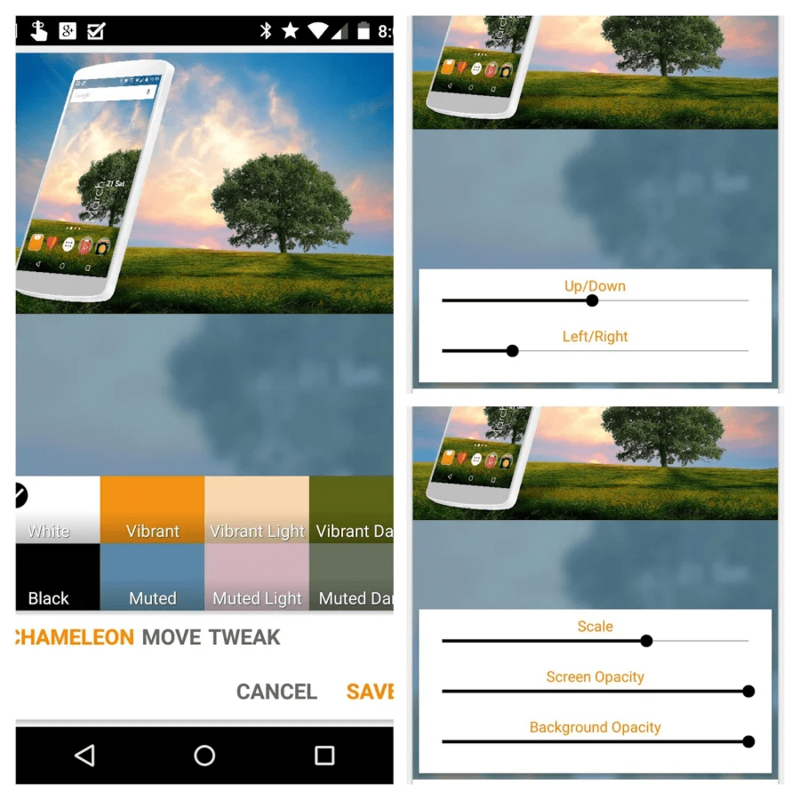 It provides numerous editing options to your screenshots including positioning, shadows, height, width, etc. The interface is itself very simple and user-friendly. 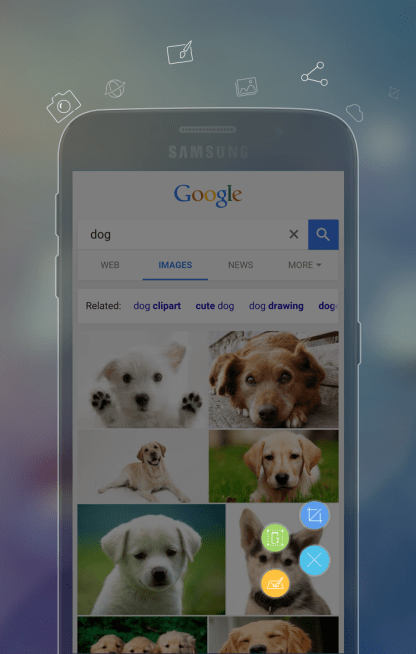 A beautiful widget adds to the features to make it versatile for any kind of screenshot needs. 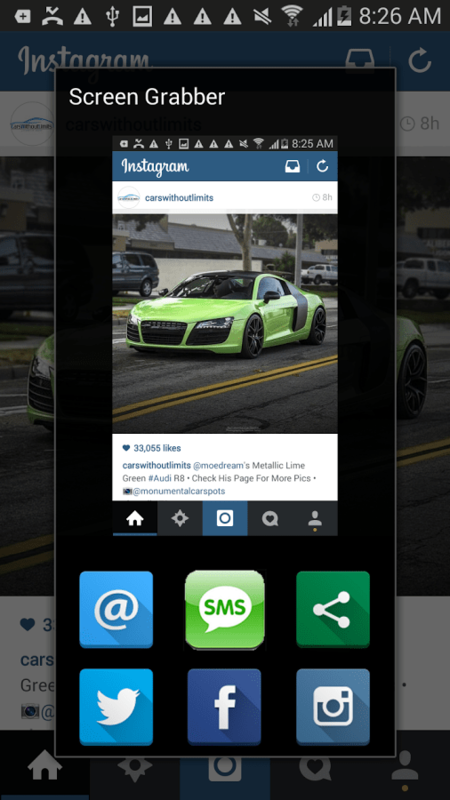 This one doest stand a chance in this list of best screenshot apps for Android. Different kinds of frames including 3D frames, Chameleon frames, etc. Numerous editing options like Opacity, Shadow, Positioning, Background opacity, Height, Width, etc. 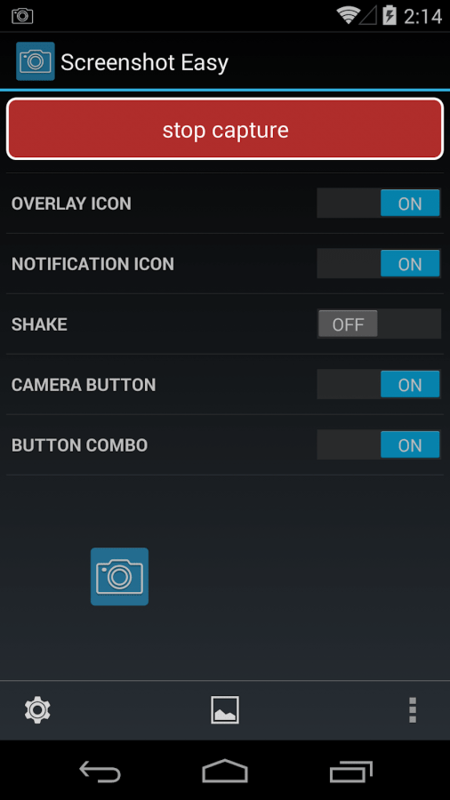 When it comes to the ease of using screenshot applications for Android, the Apowersoft Screenshot does stand a chance. 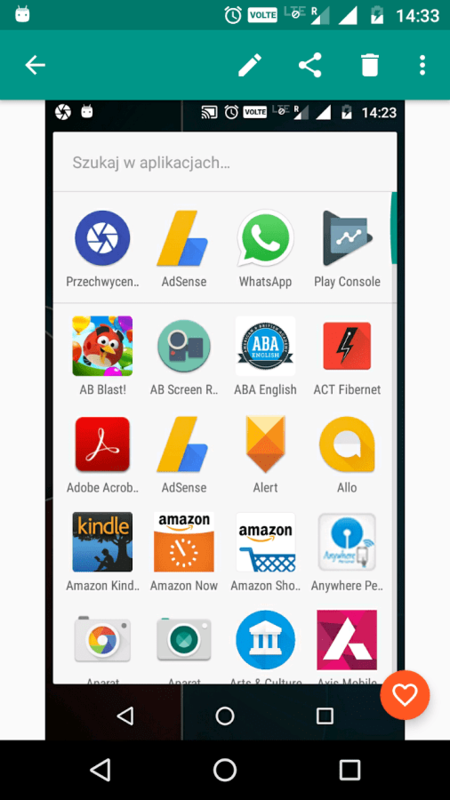 Different from all the above-listed apps, it has a modern interface with advanced functions for taking different kinds of screenshots. It is completely free to use. 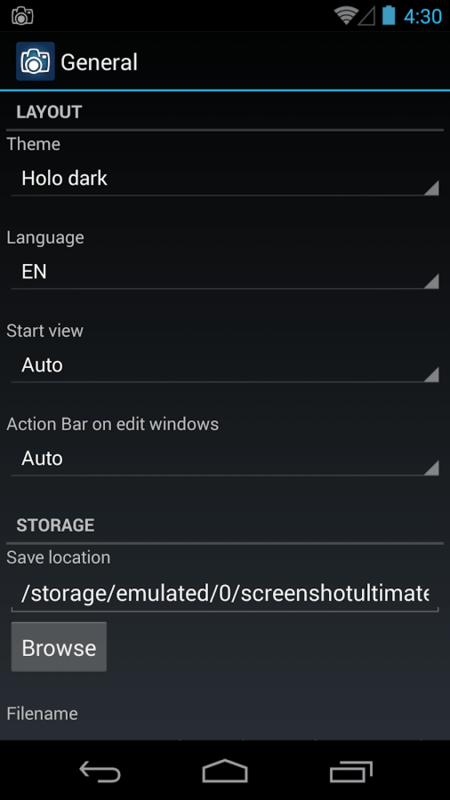 However, Apowersoft screenshot apk is available for download from multiple sources online. 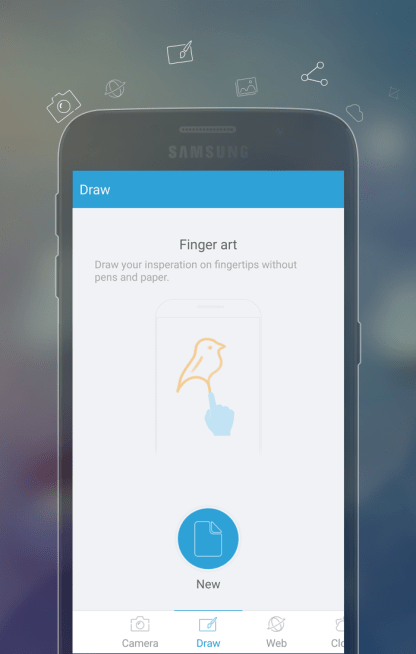 The “finger art” feature is a unique one which we found interesting in this application. We recently wrote a review of the Screen Grabber app which will give you the complete idea and usage of this handy application. It is incredibly easy to use and already has millions of users its own. This free application comes with numerous additional features including a caller ID function which allows tracking the caller IDs of the recent calls. 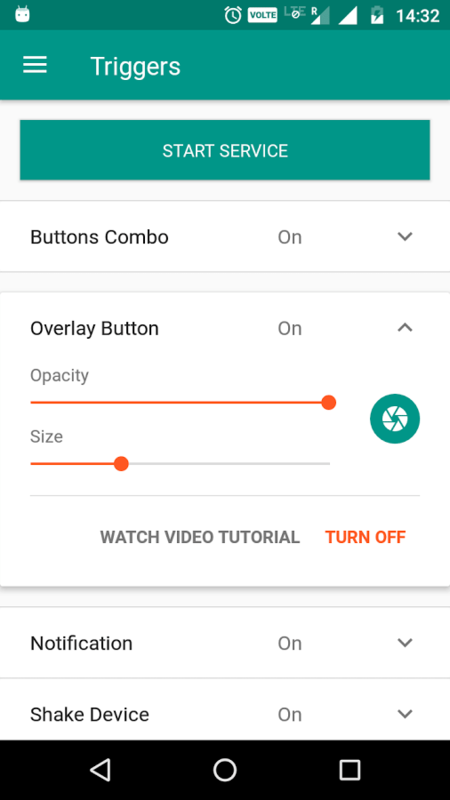 If you are planning some advanced features with the screenshot apps alongside some sweetening functions aside, the Screen Grabber is a good app to consider. Capturing the Android screen is much easier using the Screenshot Capture app. 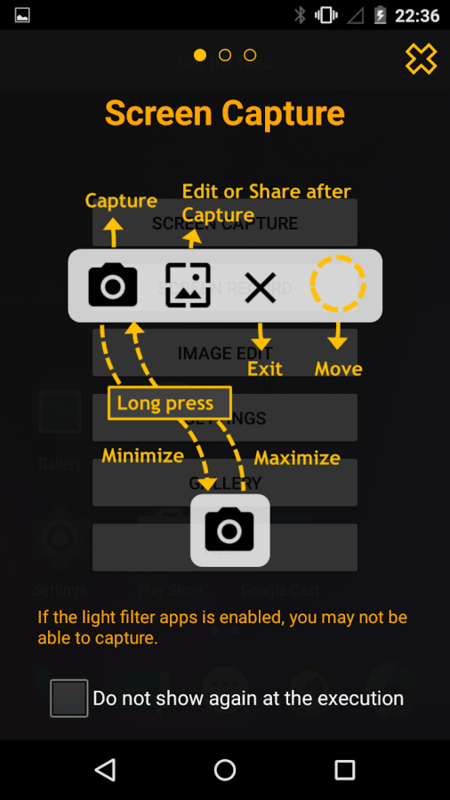 The app comes with numerous triggers and editing options to completely customize the taken screenshots. You could easily organize them from the app itself without having to depend on any additional applications. It also has multiple themes which you could choose according to your requirements. Translation options make it suitable for people in any geographic locations. All in all, this app deserves a place in this top screenshot apps list. 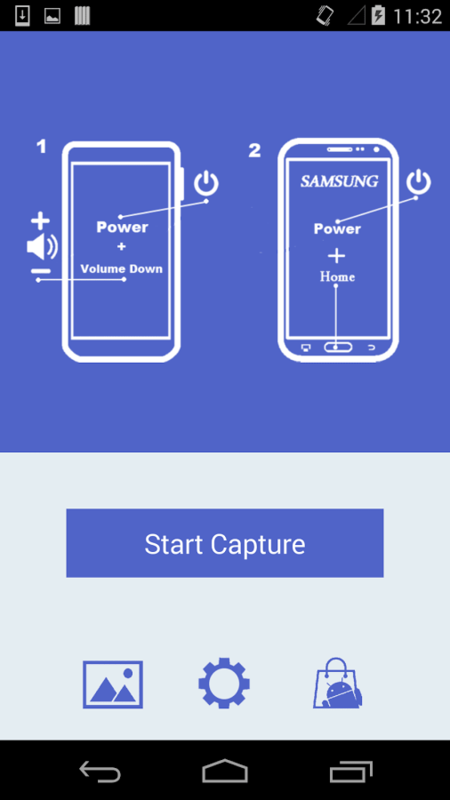 Incondice has developed this application for providing ease in taking screenshots on Android smartphones. 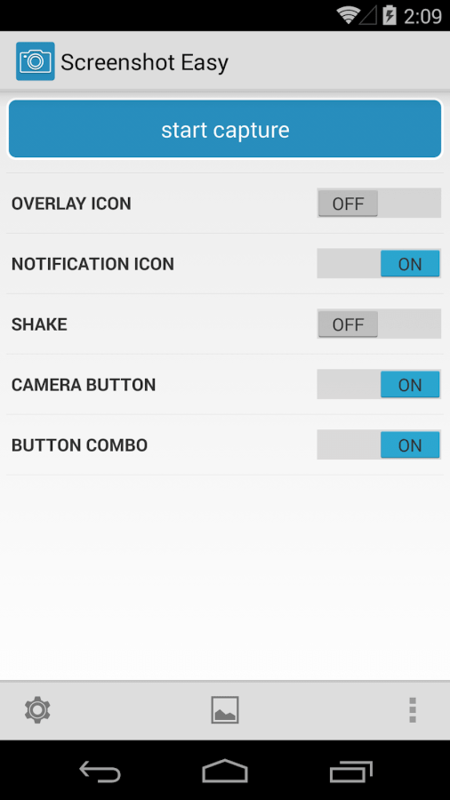 If you are looking for the easiest application for printing your Android screen, you should give a try to this Icondice crafting. 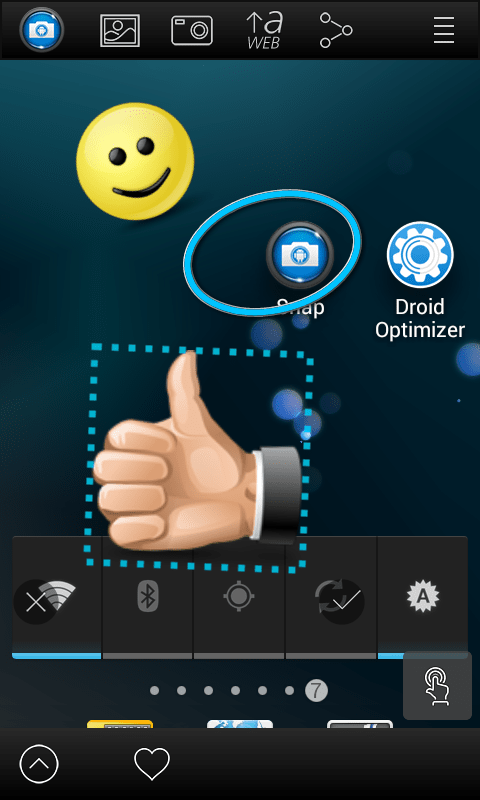 The user-friendly interface adds to the features to make it one of the best apps to capture screen on Android. There is an inbuilt gallery on the app which allows managing the taken screenshots right from the app. So that you no longer need to search throughout the default gallery to separate the taken screenshots. But a small con is that it require root access to take screenshots. 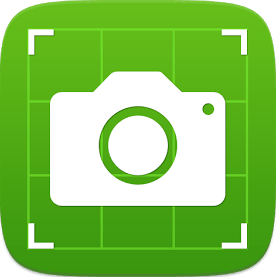 This screenshot tool developed by the Linever Corporation is the next app in this list. 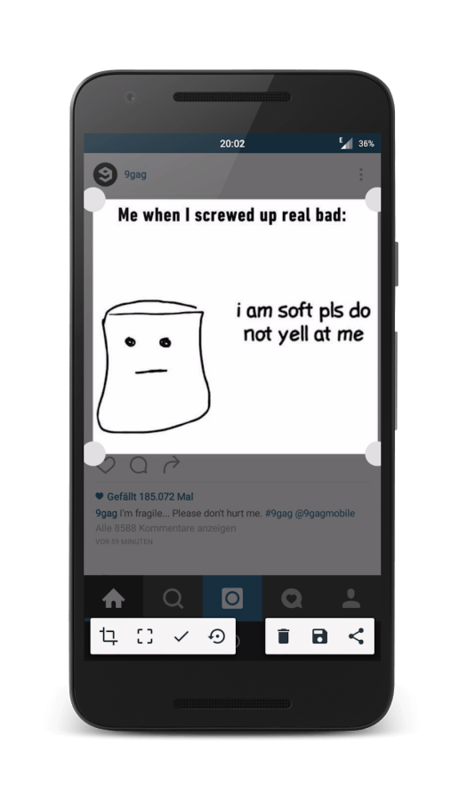 The main reason why we put it at the bottom is the annoying ads on this screenshot app. If you don’t worry about those ads, this is also a good choice like any others listed above. As per the developers, the app is more suitable for shooting screenshot of Snapchat. So, if you are a Snapchat user who wants to take a screenshot of your snap chat sessions, the Easy Screenshot tool might be a good choice. 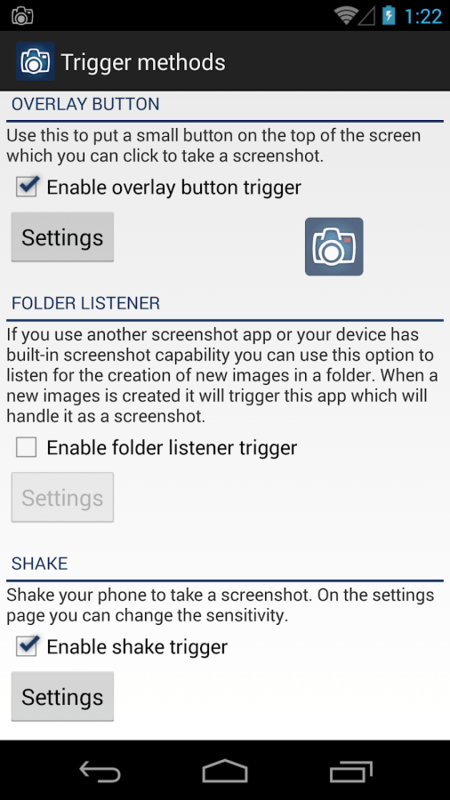 Touchshot (Screenshot) is another screenshot application which is almost last on this list. It is developed by Lyouson team with numerous functions and features for screencasting as well as screenshot needs. 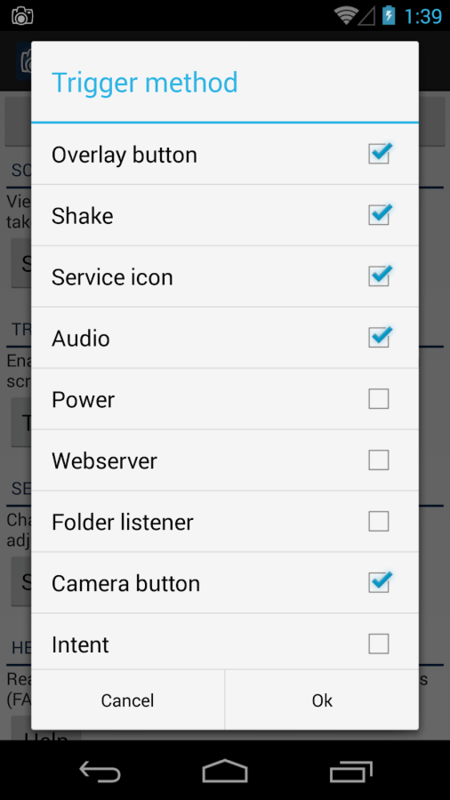 If you don’t like any of the above-listed items, or if they are not enough for your screen recording or capturing needs, the Touchshot (Screenshot) app is a considerable solution. This app is completely free to use and no annoying ads are there to disturb you. So, if you wish, you could try this to take a screen image of your smartphone. Screenshot Crop & Share is the last item in this list of the screenshot apps. 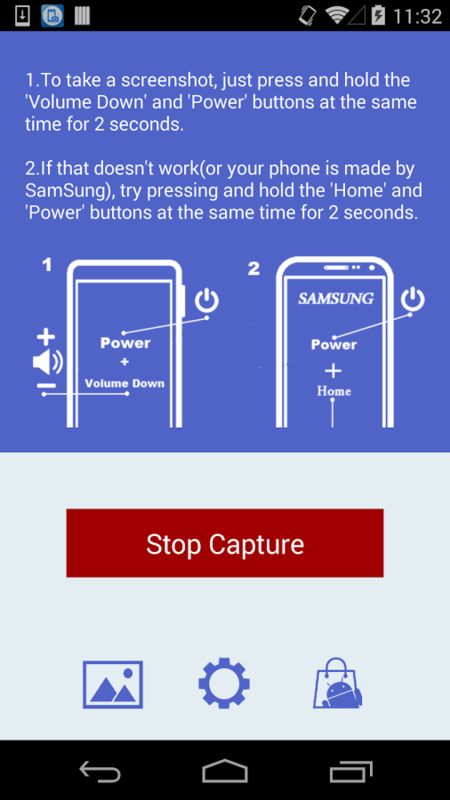 As the name itself implies, it is a perfect solution to have screenshots of your Android display, crop them, and directly share it on the social medias. 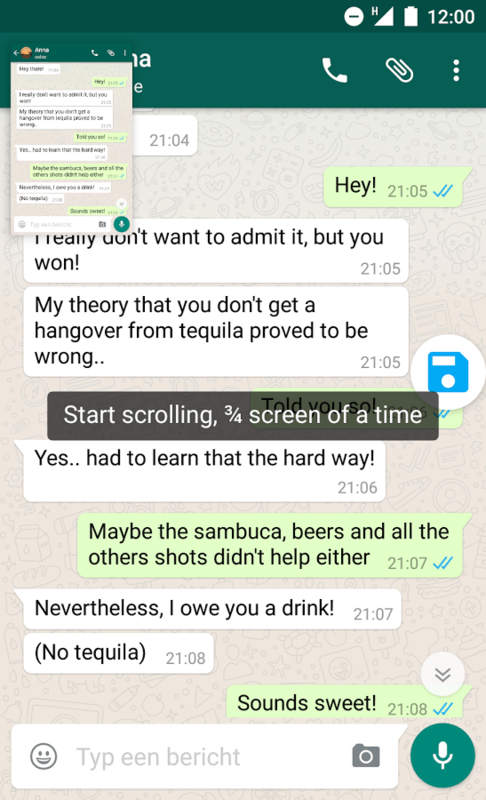 If you are a fan of taking too many shots of your screen and sharing them to the social networks, this Screenshot Crop & Share application is a good choice. By the way, it is developed by Daniel Huber. A big thanks to him for developing such a great application for Android smartphones. 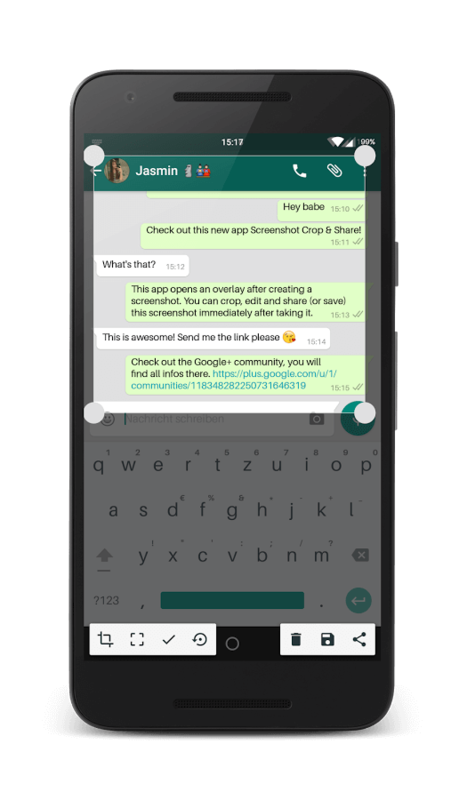 Stitch & Share: Big Screenshot is specialized in scrolling screenshot. If you frequently wanted to take screenshots of your entire screen which is too long, this might be a good solution to help you. 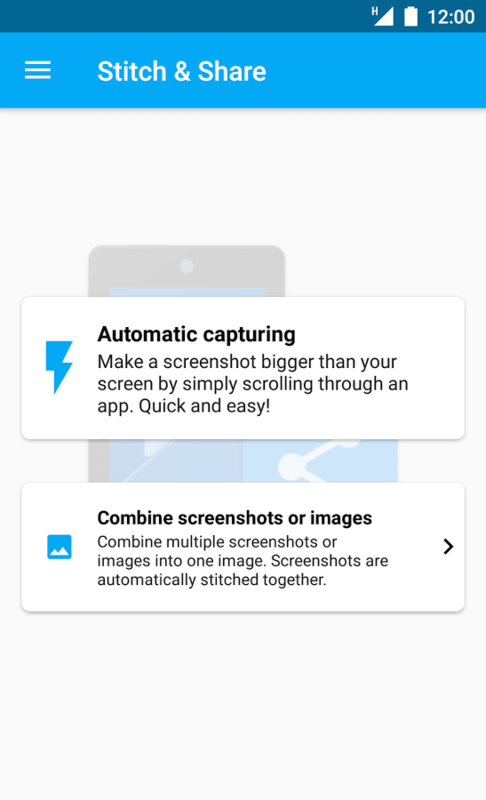 The Stitch & Share: Big Screenshot application is so flexible that it will meet any screenshot need that you have. All you have to do is opening the screen that you want to take the scrolling screenshot, use the app, and scroll through the display. 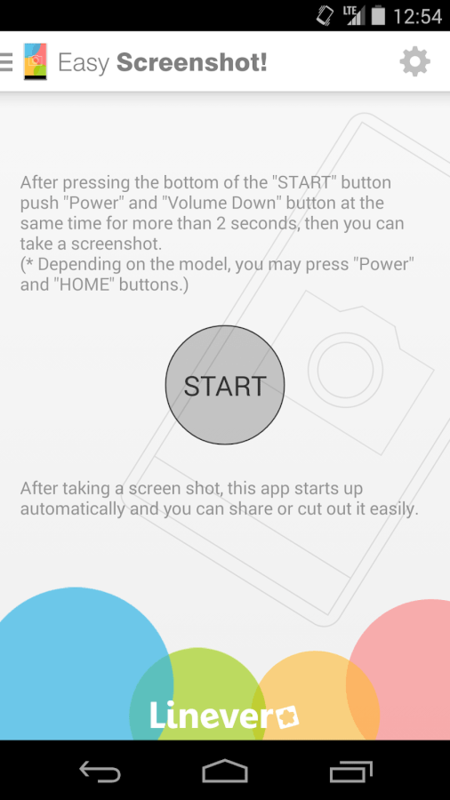 It will stitch the screenshots together to generate one long screenshot of your Android screen. Now, that’s all the 13 best apps to take screenshot on Android. If you have any more suggestions to add to this list, don’t hesitate to contact our team.